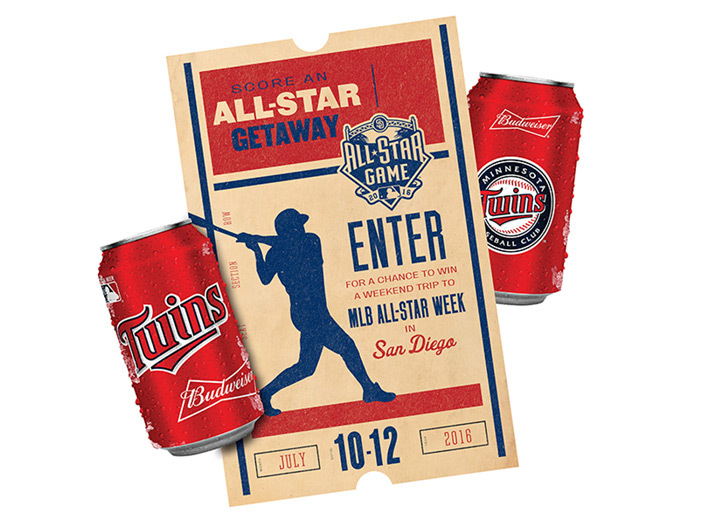 Budweiser MLB All-Star Week Sweepstakes - Phoenix Creative Co. When Anheuser-Busch InBev needed a sweepstakes program ahead of and during the 2016 baseball season, Phoenix Creative knocked it out of the park. 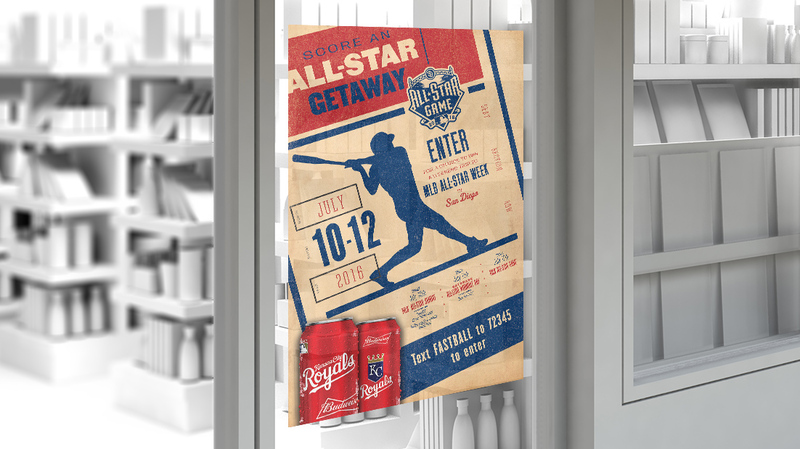 For a summer in-store program, customers were encouraged to enter-to-win a trip to the 2016 All-Star Game. Phoenix developed tactics: in-store, out-of-store and geo-targeting digital ads. These tactics needed eye-catching, informative creative to entice consumers to purchase Budweiser and enter the sweepstakes. The results speak for themselves: beer sales went up, impressions through the roof, and one lucky winner attended the MLB All-Star Game in 2016.